Union Point is THE State of art sports complex in Greater Boston. 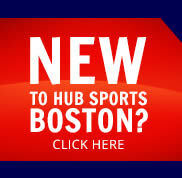 Union Point is your HUB Sports Boston year round sports destination! HUB Sports Boston will offer a great lineup of year round soccer and Flag Football leagues as well as tournaments at Union Point. The Turkey Bowl, Snow Bowl and Battle4Bucks Men’s Flag Tournaments, The Champions Cup Soccer Tournament and The Best Of Boston Winter Indoor Softball Series.